Hey Tampa Bay, Alex here to tell you about a Gala that will benefit The Gulf Coast Iguana Sanctuary and Clearwater Marine Aquarium’s Rescue, Rehab, and Release Program. Lizard Live II, a Gala Fundraising Event, will take place on Saturday, September 25, 2010 at the Sirata Beach & Conference Center on St. Pete Beach. The fundraiser, called, “Lizard Live II” will occur in the Majestic Ballroom of Sirata Beach Resort from 7 PM to ? for a night of drinks, live appetizers, silent auction, live auction, music and dancing. This year’s MC continues to be Rhonda Shear accompanied by The Lizard Ladies and the music will be provided by Tom Gribbin and The Saltwater Band. Tickets for this benefit are $50.00 in advance; $65.00 at the door; and, $1,500 for a sponsor table of 10, which will also get the sponsor special recognition on the new Iguana Habitat to be built on the premises of Sirata Beach Resort. Tickets will include 2 drinks and light appetizers. Wear your best green outfits, as there will be prizes, a silent auction, a live auction and lots of FUN! 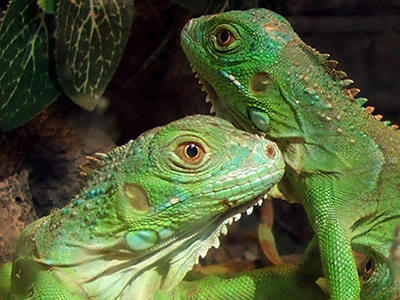 The Gulf Coast Igua na Sanctuary is a newly created Not-For-Profi,t co-sponsored with Clearwater Marine Aquarium’s Rescue, Rehab, and Release program, that rescues and provides habitat for abandoned Iguana&apos;s in Pinellas County. The sanctuary includes educational components on green iguanas in the State of Florida and the responsibility of raising exotic reptiles. As a result, of its rescue efforts, the current habitat no longer is large enough for its inhabitants, and others, still to be rescued. 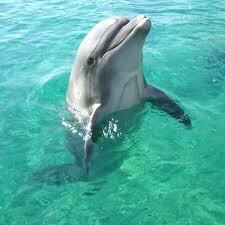 Part of the proceeds will also go to The Clearwater Marine Aquarium’s Rescue, Rehab, and Release program. The Sirata Beach Resort and Conference Center is located at 5300 Gulf Boulevard, St. Pete Beach, FL 33706. For more Information & Reservations, contact Lenne Nicklaus-Ball, 727-363-5148, or e-mail, LizardLive@sirata.com. You can now make a tax deductible donation. Head over to the Sirata Beach & Conference Center on Saturday, September 25, 2010 to enjoy a fun night of drinks, appetizers, music and more, all for a good cause! Check back often for information on Tampa Bay area events and things to do in Tampa Bay!